Katie grew up in a small town in Rochester, New York where her passion and curiosity for optimal health began at a young age. While there she had an amazing opportunity to apprentice in a naturopathic setting which heightened her knowledge of natural medicine and the healing process. She then began studying Qi Gong and was instantly fascinated with Chinese Medicine, allowing her to view the human body and the world in a new way. Her passion for knowledge led her to the Pacific College of Oriental Medicine, where she earned a Master in Oriental Medicine and Acupuncture. Katie deepened her studies in China, treating patients at Chengdu University Hospital of Traditional Chinese Medicine. She also obtained a Bachelor of Science in Nutrition and Chemistry at The University of Arizona. Katie integrates her knowledge of Chinese Medicine with nutrition, acupuncture, herbal medicine, supplements, Qi Gong, and meditation. Katie has dedicated her practice to specializing in fertility, pregnancy and hormone balancing. She is passionate in helping couples create their family and enjoys seeing the transformation into parenthood. Katie has a gentle touch that focuses on harmonizing and balancing the mind, body, and spirit. You will find a passionate, nurturing professional, who brings sensitivity and compassion to all her patients. 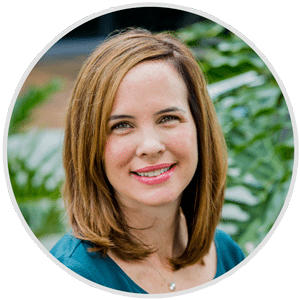 Her experience, blended with her knowledge of nutrition, functional medicine and herbal medicine, has allowed Kathleen to treat her patients with an integrative style that yields effective and fast results as an acupuncturist in San Diego.n Diego.